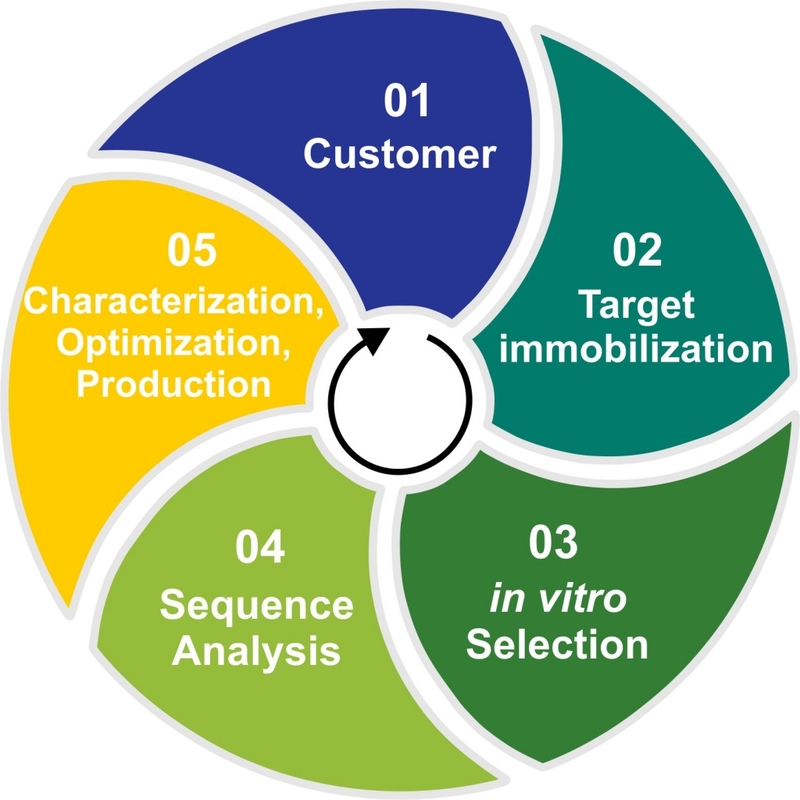 Our selection service includes an automated selection of RNA Aptamers against protein targets. The standard automated selection contains, target immobilization, aptamer selection, and characterization with the corresponding SOPs. Sequence analysis and aptamer optimization are optional and will be discussed with CARD users. Besides the standard automated selection, we also offer an optional support as a post-selection phase, which includes Next Generation Sequencing (NGS), as well as affinity and specificity determination of the resultant aptamers.